Working to save an important piece of railroad history, the Lansing Model Railrod Club is in the process of restoring the former Michigan Avenue interlocking tower to be used as an operating museum display. 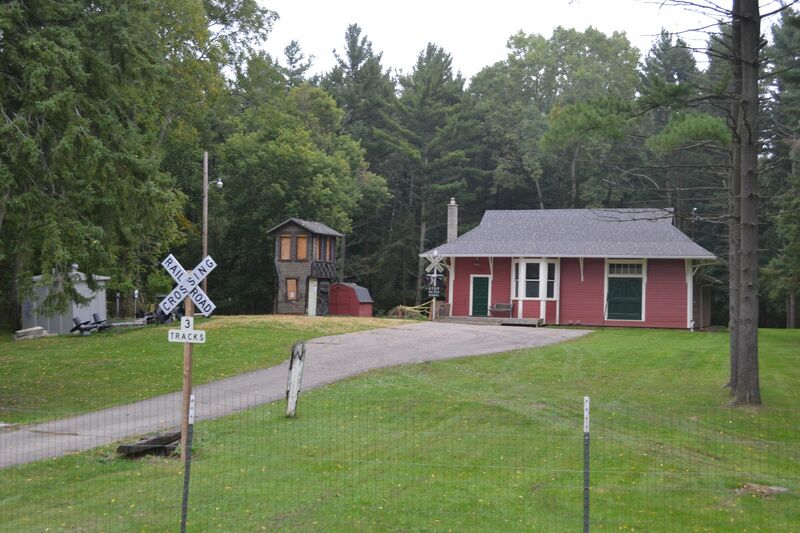 The club envisions trains running on the model railroad layout in the neighboring Millett Depot to be dispatched from the tower. In addition, actual way-side train signal exhibits also will be controlled from the tower. Once located on Michigan Avenue next to Lansing Union Station (the late, lamented Clara's Restaurant), MA Tower controlled the junction between the Michigan Central and the Pere Marquette railroads. The crossing gates on Michigan Avenue were manually controlled from the tower before automation. In 1986, Conrail retired the tower when electronic remote control (known as Centralized Traffic Control or CTC) was extended to the Lansing area. It was moved to Lansing's Old Town that same year by a now defunct electric railway museum. 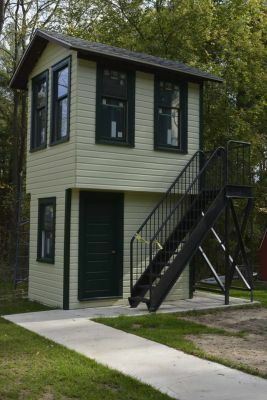 After sitting vacant in Old Town for almost 30 years, LMRC President Michael Frezell noticed the tower was being neglected and got the idea of moving it to the club's property. He thought the club would be in a better position to restore it and interpret the important history. Very few of these towers have been preserved across the United States and this is the only remaining one in the Lansing area. 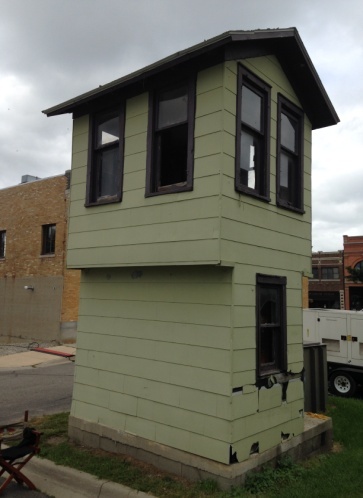 So on Sept. 23, 2016, MA Tower was carefully moved to the LMRC thanks to help from generous volunteers. Replace rotted siding - New siding is installed and painted. Install steps to the second floor - completed. Erect railroad way-side signals - foundations have been set and wiring is being prepped. December 1986 - Lansing-North Lansing Electric Railway Museum moves tower to Old Town. October 18, 2016 - The Tower received a new roof and refurbished lower door. Design of a steel staircase initiated. April 2017 - The tower was unwrapped from it's winter cacoon and inspected. It was determined that the windows and most of the siding were too far gone. May 2017 - New windows and siding were ordered. Fabrication of steel stairs completed. Interior fixtures were removed for restoration. June 2017 - Windows and siding arrived. The old siding was removed and the new siding was primed. Two windows on the lower level were installed. July 2017 - All windows have been installed and electrical power has been run to the tower. 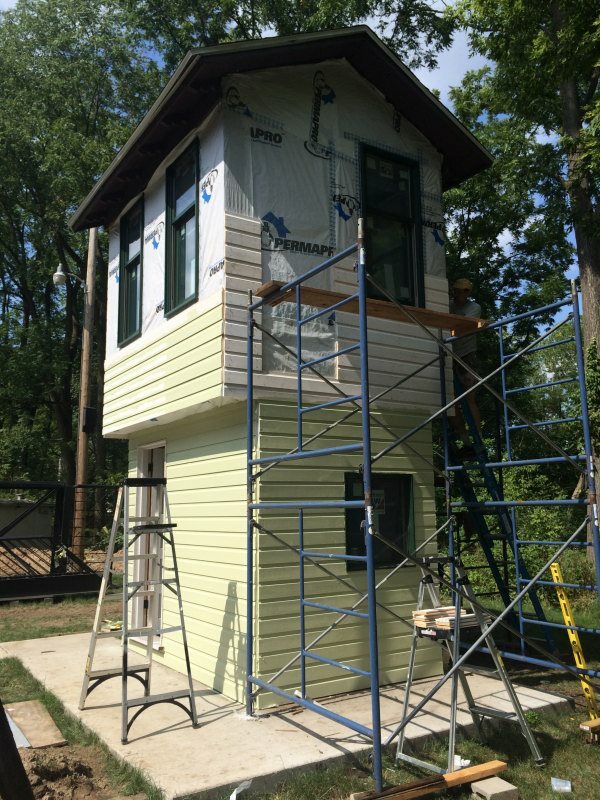 August 2017 - New siding is being installed! September 2017 - New siding completed and painted. 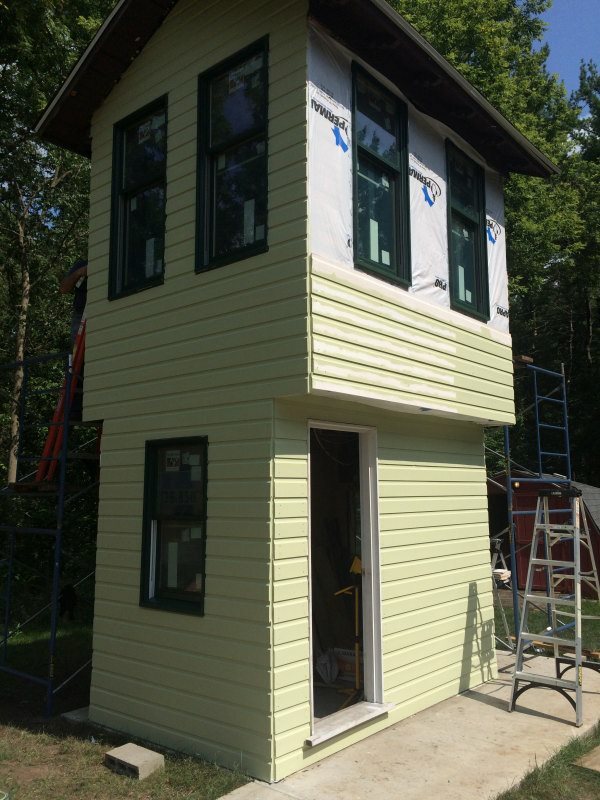 Windows trim installed and corner trim in progress. Stairs and platform to second floor installed. January 2018 - New custom made door for upper level delivered. Spring and Summer 2018 - New door installed and evaluation of the interior begins. Final bits of exterior trim are being installed. LMRC would also like to thank all of the individuals who made monetary contributions to the project. Watch our facebook page for more info.